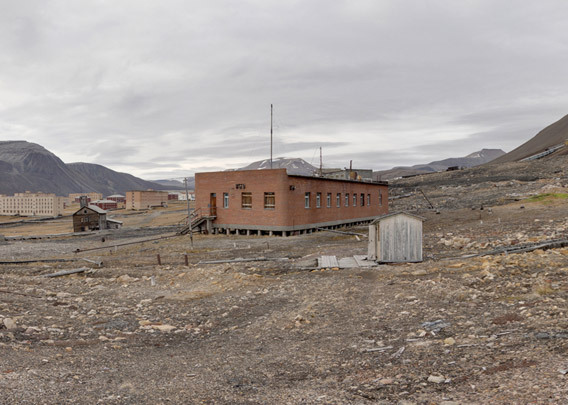 A bit outside the old centre, just under the mountain Pyramiden and close to an area on the slopes where several old mine pits are located, there is a little, old wooden hut. 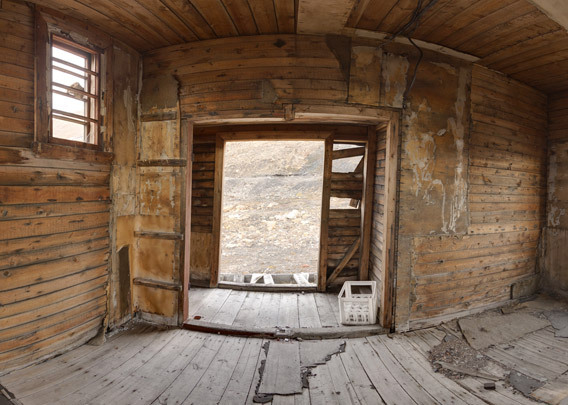 Old shed or hut near former coal mine area in Pyramiden. It is hard to tell what it may have been used for. It has obviously been empty for a long time, there is just a bit of rubbish and dirt on the floor. Maybe it was used as a storage for equipment during earlier periods of mining, or it was a common room for miners to provide shelter and warmth during resting time? The interiour of the old hut.